Somnath: The atmosphere in Somnath Mandir campus is very humid, obviously as it is situated just next to Arabian sea. 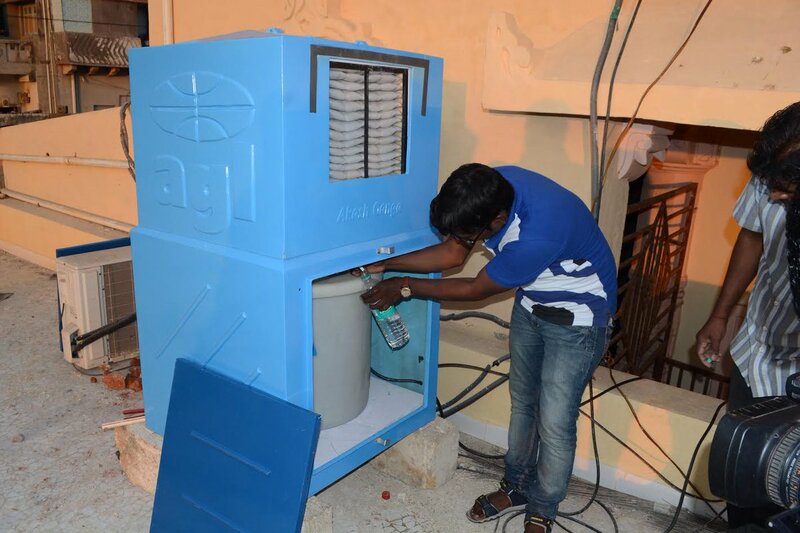 Recently ‘Akash Ganga’ team from Chennai visited Somnath Mandir and looking at the presence of humidity here it suggested Shri Somnath Trust that Somnath Mandir campus is suitable for installation of despenser machine which would convert atmospheric humidity into pure drinking water. As a result of subsequent conversations and related exercises, a despenser machine has been now finally installed in Somnath Mandir campus. The machine converts humidity sourced from atmosphere in 24 hours into 165 litre pure drinking water. For now, the machine has been put here on experimental basis. 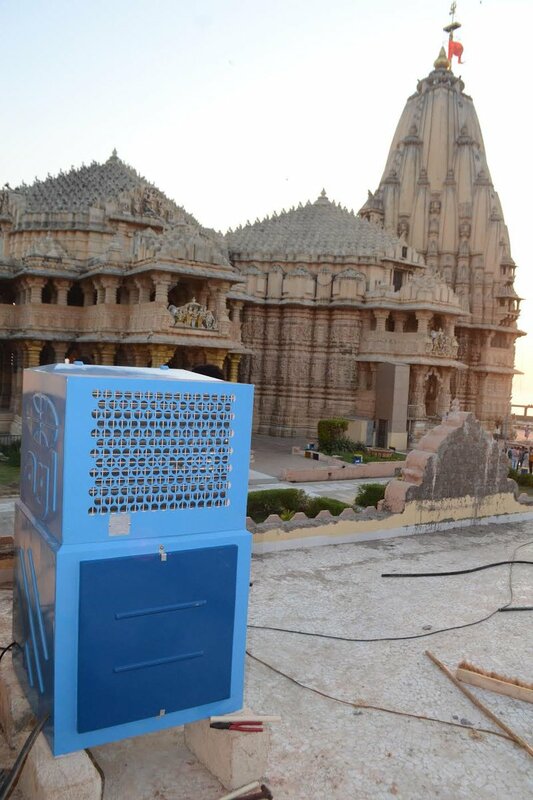 If it is found successfully working, more machines will be installed in Shri Somnath Trust’s guest houses and other temples.